Sunday 19 November marks International Men’s Day – an opportunity to ‘celebrate men and boys’ and address some of the issues, such as health inequalities and gender relations, facing men today. To mark the occasion Volunteering Matters would like to thank the thousands of men who volunteer their time and skills, improving their communities, health and wellbeing and we challenge more to join them. We know that volunteering has the power to transform lives; both for the volunteer and the beneficiary alike, but volunteering can have a serious image problem with many people believing it’s just not for them. This is particularly the case for men and boys. People tend to have pre-conceived ideas about volunteering and whether or not they will fit in. Yet volunteering can take many forms; from the Women’s Institute to a gap year in Asia, and everything in between. We recently published Barriers and Benefits: Tackling Inequalities in Health Through Volunteering. The report highlights the barriers to taking part in volunteering. And for many of those people who we would most like to see volunteering, the barriers can be significant. We saw this in the North East of England around Middlesbrough, where we were already running a number of projects, yet noticed that men would often drop their wife off to activities and wait in the car park. When asked why they didn’t join in, many said it wasn’t for them or that there are too many women and they talk too much! There are severe health inequalities amongst older men in Middlesbrough, in fact there is almost a 15 year difference in male life expectancy between the most and least deprived wards in the city. Creating an opportunity for men to set up and take part in physical and social activities was key and Sporting Chance was created. Sporting Chance engages older men in a range of free activities from walking football to healthy cooking classes. Although the men help to set up the activities, make tea and carry out inductions for new members, not one would consider himself a volunteer. Perhaps removing the label could be the key to getting more men on board? Because volunteering could be life changing for them. 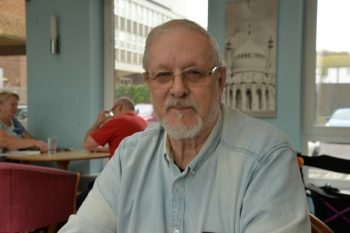 Take Roger for example, a volunteer with us in Brighton. 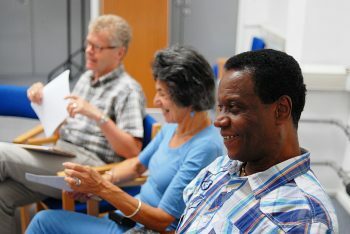 Roger runs a men’s social group as part of our LifeLines project. He said: “I started volunteering after I became a widower as I needed to learn to look after myself. I had never lived alone before my wife passed away. “Living alone was a big shock initially, but volunteering has helped my well-being a lot. I have been doing cooking classes. I’ve seen that the company and learning processes helps people. Another fantastic example of how men are shaping activities in their communities can be found in our RSVP programme (Retired and Senior Volunteer Programme). Although not exclusively for men, thousands of men are part of it, demonstrating the Volunteering Matters model of volunteer-led activities. 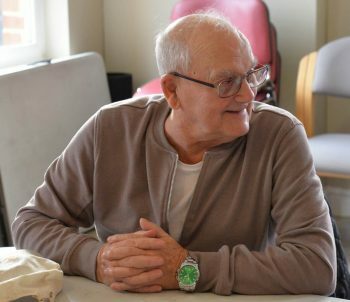 Some volunteers work within a particular geographical area; others are involved in specific areas of activity such as community care, transport services, care home assessment, and reading in schools. In each case the activities harness the energy and experience of older people, and prevent them from becoming excluded or isolated. This International Men’s Day we want to say a huge thank you to all of the amazing men who make projects like Sporting Chance, LifeLines and RSVP possible and hope that we can inspire even more men to take part! To find out which opportunities are available in your area check our opportunity finder.